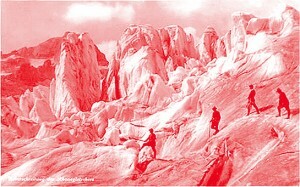 On June 26, 2012, the international conference Graphic Design, Exhibiting, Curating will take place at the Faculty of Design and Art of the Free University of Bozen-Bolzano. The conference is being organized by Giorgio Camuffo and Maddalena Dalla Mura and aims at addressing the multifarious relationships that exist between graphic design, the exhibition context and curatorial practice. Graphic design and designers are not entirely alien to the exhibition context. 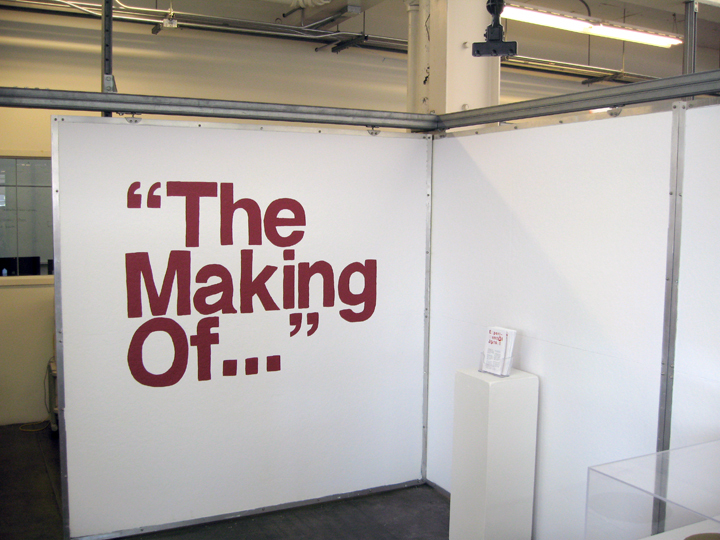 Exhibiting belongs to those kinds of activities – like awards and biennials – which allow designers to gain recognition within the graphic design community and among their peers. Moreover, graphic designers and their work have occasionally been the object and subject of display within the walls of institutions such as museums and galleries – the latter of which, as it is important to remember, are also regarded among the most important clients of graphic designers. In recent years however, we are witnessing the emergence of a relatively new phenomenon: graphic designers themselves are apparently becoming more and more interested and involved in the exhibition context as a space of production, and in appropriating the kind of roles and functions that are characteristic of the exhibition format. This phenomenon opens up a number of questions that call for an overall re-examination of the relationship of graphic design with exhibition making and curating, and of the implications this has for design culture. What are the motives behind graphic designers’ choice to use the exhibition as a medium for producing and disseminating contents? What does this new engagement reveal about the cultural and social role and position of the contemporary designer? What are the values attached to graphic design within the exhibition context, and how do they shift according to different contexts? What kind of public do designers aim to address, and what kind of public is actually being reached through exhibitions and related activities? 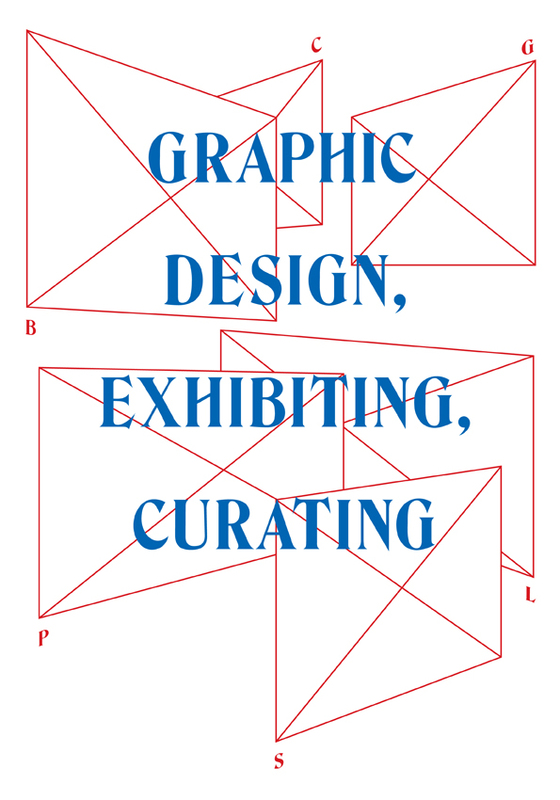 What critical discourse, if any, on graphic design is built through and around exhibitions? How do acts of exhibiting and curating relate to the traditional activity of graphic design? The conference Graphic Design, Exhibiting, Curating will attempt to answer these questions and to raise others, by bringing together the voices of graphic designers, curators and critics who, in recent years, have been variously engaged in exhibition making and curating. The speakers include: Brave New Alps (Bianca Elzenbaumer, Fabio Franz), Charlotte Cheetham (Manystuff.org), Mieke Gerritzen (Museum of the Image, Breda), Lungomare / Lupo&Burtscher, Prem Krishnamurthy (Project Projects), Jon Sueda (California College of the Arts), and Warren Taylor (The Narrows). Invited discussants who will contribute to broadening the scope of the conference are: Jonathan Pierini (Free University of Bozen-Bolzano), Silvia Sfligiotti (Progetto grafico), Francesco Valtolina (Mousse), Carlo Vinti (University of Camerino). Conference attendance is free. Pre-registration is however recommended. Download the press release, including the program, abstracts and biographies of speakers. How to get to the Faculty of Design and Art. The conference is organized in the framework of the Graphic Design, Exhibition Context and Curatorial Practices research project conducted at the Faculty of Design and Art of the Free University of Bozen-Bolzano, by Giorgio Camuffo, Maddalena Dalla Mura, together with the working group Roberto Gigliotti, Hans Höger, and Kuno Prey. With this talk we elaborate on how we attempt to use spaces and exhibition settings as valuable resources to support projects of collective learning and producing. Reading our practice as positioned within the area of communication design, we will be exploring the forms that our work can take when it is located in the public or semi-public realm offered by the exhibition format and space. Brave New Alps. Collaborating since 2005 under the collective name “Brave New Alps,” Bianca Elzenbaumer and Fabio Franz investigate into the cultural value of design and its capacity to question our surrounding realities and to actively suggest alternatives. How to display graphic design, starting from, or not, a command? Each project that Cheetham has curated is an attempt to answer this question, through the lens of the curator herself, and/or of a graphic designer or of an artist. It is the thinking process of the curator/designer/artist that leads to the mise-en-scène, that is interesting. 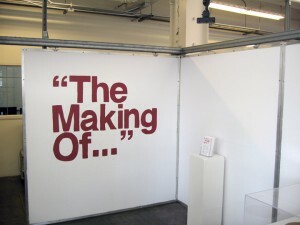 Every graphic design exhibition is an experience which questions the idea of a space serving a project and an object. Every graphic design project is not only a question of forms and formats, but is the result of a more complex creative process. This process, therefore, should be highlighted and presented through an expressive and lively mise-en-scène, that is capable to reduce the distance between the visitor and the exhibited objects. The encounter of the public with the reactivated objects and with unexpected formats generates a very interesting field. Charlotte Cheetham is a french curator of graphic design. Her publications and exhibitions projects, dealing with relevant issues concerning graphic design, are conceived and developed like spaces for experimental proposals. Manystuff.org, the blog she runs since 2006, proposes one possible reflection of a landscape and encourages a contemporary adventurous and transversal practice of graphic design. Her practice, constantly redefined, is based on an experimental approach embodied in publishing experiences, in exhibition moments, and in a flow of information over the Internet. Working on interpretation, on reinterpretation, she is interested in the thinking process – multi-disciplinary, poetic, experimental and surprising – that leads to the final “form”. Personal – From graphic designer to museum director. 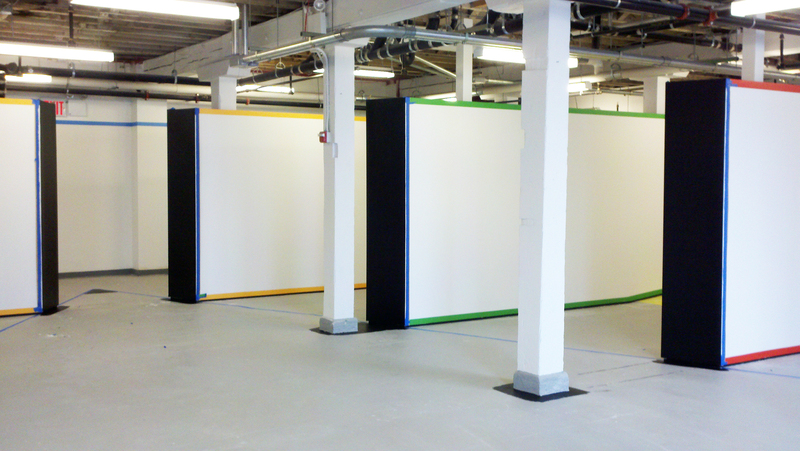 Practice – Disappearing borders in cultural disciplines. Presentation – From analogue to virtual to analogue. Mieke Gerritzen (1962) was born in Amsterdam. Mieke Gerritzen is currently director of MOTI, Museum of the Image in Breda, the Netherlands. She graduated at the Gerrit Rietveld Academy in 1987. In the early nineties Gerritzen was one of the first creative people involved in the development of digital media in the Netherlands. Gerritzen creates networks with many different designers, writers and artists. Gerritzen was head of the graphic design department Sandberg Institute, the master course connected to Gerrit Rietveld Academy in Amsterdam. Mieke Gerritzen received many prizes and gives lectures and presentations worldwide. Through a presentation of recent design and curatorial projects, Prem Krishnamurthy will speak about employing graphic design itself as a platform for critical inquiry and exhibiting. The discussion will include the exhibition design of Graphic Design: Now in Production (Walker Art Center / Cooper-Hewitt Museum), which opened May 2012 at Governors Island in New York; an innovative identity system that functions as an exhibition space for SALT, a cultural institution located in Istanbul; Close Encounters, a recent essay on exhibition design by Project Projects for the forthcoming Wider White Space catalogue; as well as other research and projects concerning exhibition-making and design practice. Prem Krishnamurthy is a designer, curator, and founding principal of Project Projects. His current research interests focus on distributed and recombinant archives, neglected legacies of Modernist ideology, and critical approaches to embracing instability in design systems. In addition to working on commissions with clients such as Architecture Workroom Brussels, CCS Bard, Cooper-Hewitt National Design Museum, artist Omer Fast, Guggenheim Museum, Harvard University, Michael van Valkenburgh Associates, MoMA, NYC Department of Parks, SALT, Vera List Center for Art & Politics, Whitney Museum of American Art, and the Yale University Art Gallery, he has co-edited books and publications such as MATRIX / Berkeley: A Changing Exhibition of Contemporary Art (curated by Project Projects with Elizabeth Thomas), PRINT magazine’s special “Collaboration” issue (January 2011), and the art journal Paper Monument. 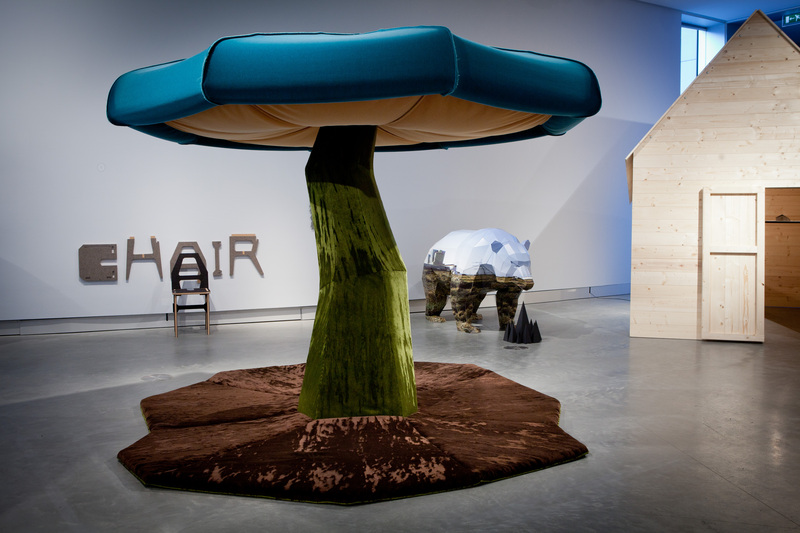 The curatorial activity is increasingly spreading among artists, architects and designers, as part of their work. To curate means to heal, to take care of something that interests you and that engages both the soul and the action. To curate an exhibition, an event or a project, is always the attempt to contextualize things, to give them a meaning, to organize them. Curating is also a study activity, that enables reflection and synthesis. It is an activity that allows the participation of other people, who are invited to share their ideas and points of view, as well as discuss them with the public. As long as design is intended as a practice that considers the context in which it operates as relevant and also values dialogue as one of its key components, then design and curating can be regarded as similar and related activities. How can these two activities be combined in order to define new areas of intervention? How do they relate to current cultural, social and political issues? What role is given to the public and to the public space? How do design and curating relate to the production of knowledge? Lupo&Burtscher is a design studio started in 2004 in Bolzano by Angelika Burtscher (Schruns, Austria, 1979) and Daniele Lupo (Heidelberg, Germany, 1976). Lupo&Burtscher works primarily in the cultural sector, focusing on publishing projects, visual communication, product design, interior design and furniture design. Lungomare is a project space for the promotion of art and design that was opened by Burtscher and Lupo in 2003. Lungomare experiments with different formats – such as lectures, discussions, publications, exhibitions and interventions in the public space – to investigate the relationships between design, architecture, urban planning, art and theory. It aims at interpreting and advancing ‘design’ and ‘culture’ in their broadest sense and with reference to specific contexts. Design approaches and methods are meant and used as critical questions that produce consequences within the context in which they intervene, and that, in turn, take charge of such consequences. This presentation will explore his evolving relationship with the exhibition making as it intersects with the work of artists, graphic designers and curators. 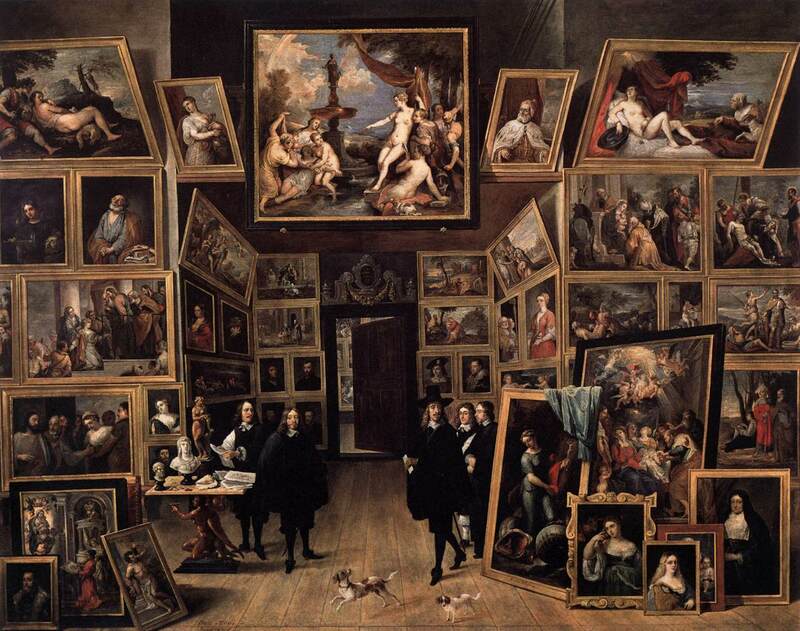 Historically, galleries and museums have been fertile arenas for graphic designers to practice, whether via exhibition catalogs, exhibition design and signage, promotional materials, or interactive media. The Great Wide Open will look at how graphic designers are expanding the boundaries of traditional practice by actively participating within the broader context of exhibition making, by taking a transdisciplinary approach, and by investigating curatorial practice as another critical mode of graphic design. Sueda will also present recent exhibitions by both his graduate and undergraduate graphic design students at the California College of the Arts. Jon Sueda, originally from Hawaii, has practiced design everywhere from Honolulu to Holland. After earning his MFA in Graphic Design from CalArts in 2002, he was invited to North Carolina State University to serve as a designer in residence, followed by an internship in the Netherlands with Studio Dumbar. In 2004, Sueda co-founded the design studio Stripe, which specializes in printed material for art and culture. He is also the co-editor of Task Newsletter, and the co-organizer of AtRandom events. Sueda has lectured, taught workshops and has been visiting critic at: North Carolina State University, Raleigh; University of Hawaii; École des Beaux-Arts de Rennes, France; Rutgers University; University of Missouri, Saint Louis; Otis College of Art and Design; Art Center College of Design; Southern California Institute of Architecture (SCI ARC); and California Institute of the Arts (CalArts). In 2007, Sueda relocated to the San Francisco area in 2007, where he is an Assistant Professor in the Graphic Design Program at California College of the Arts (CCA) and Design Director at the CCA Wattis Institute for Contemporary Arts. Most recently, he curated the exhibition The Way Beyond Art: Wide White Space at CCA Wattis Institute for Contemporary Arts and Work from California at the 25th International Graphic Design Biennial in Brno, Czech Republic. 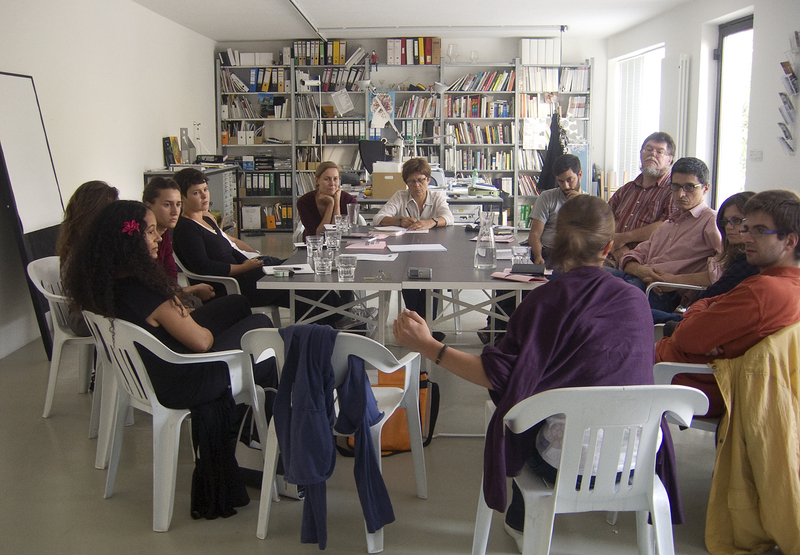 A discussion on the connectivity graphic design has with art and how the products of this association can support, visualise and overlap artistic practice. Warren Taylor is a lecturer of Communication Design in the Faculty of Art Design and Architecture at Monash University, Melbourne Australia and the founder of The Narrows – a curatorial project interested in the convergence of art and design. 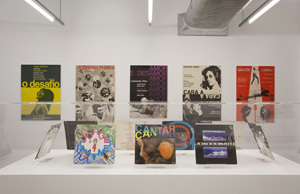 Since 2006, The Narrows has presented exhibitions by distinguished graphic designers such as Ronald Clyne, Experimental Jetset, John Melin, Rogério Duarte, Peter Brötzmann, Les Mason and Karel Martens.